Melanie Abrantes transforms sustainable and locally sourced materials into one-of-a-kind vases, planters, serveware + more. 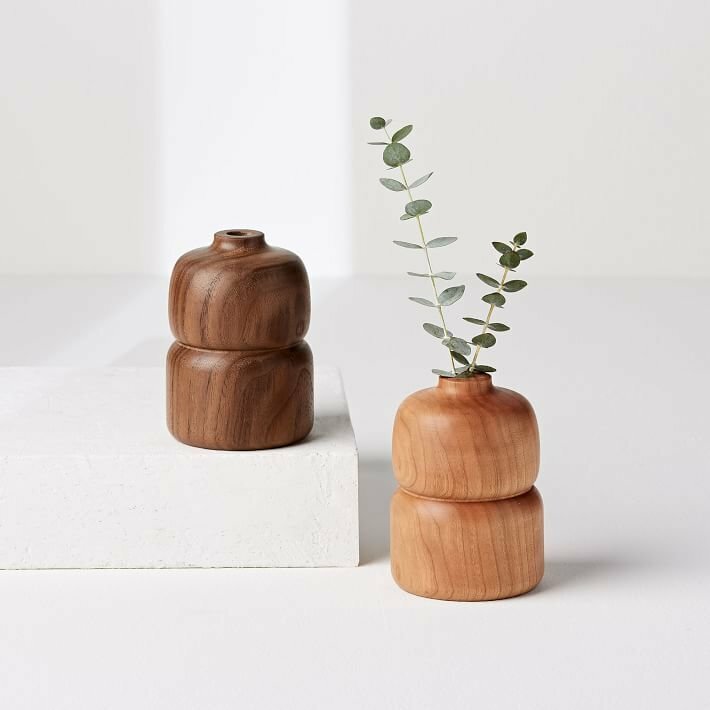 Crafted of solid cherry or walnut hardwood, this vase is hand finished with mineral oil and includes a glass vial for a single flower or two. Bud Vases vary in size and color, making each piece subtly unique.